Former President Barack Obama’s signature law is usually associated with subsidized insurance markets like HealthCare.gov. But the Affordable Care Act also expanded Medicaid. Not only would the GOP legislation scale back coverage through the insurance markets and phase out the Medicaid expansion, it would also make fundamental changes to the broader Medicaid program. The federal-state program covers low-income people, from newborns to elderly nursing home residents, from special-needs kids to young adults caught in the opioid epidemic. House Republicans have passed their health care bill, and Senate GOP leaders are driving toward a vote next week. President Donald Trump is waiting, eager to deliver on a campaign promise to repeal the law. Against fast-moving developments, a look at some major issues for consumers. As health care costs have kept climbing, employers cut back on coverage, and Medicaid passed Medicare as the nation’s largest public insurance program. It now covers about 70 million people, including children and able-bodied adults mostly served by private managed care plans. The GOP’s biggest Medicaid change involves limiting future federal financing. Since its inception, Medicaid has been an open-ended entitlement, with Washington matching a share of what each state spends. Instead, Republicans propose a per-beneficiary cap. In addition, the GOP would phase out added financing that Obama’s law provided as an incentive for states to expand the program and cover more low-income adults. About 11 million are covered by the expansion. The Congressional Budget Office estimated the House bill would reduce federal Medicaid spending by $834 billion over 10 years, and the program would cover about 14 million fewer people by 2026, a 17 percent reduction. Governors of both parties have warned Congress that would mean a cost shift to states that undermines coverage for the vulnerable. Medicaid limits got very little attention in the 2016 presidential campaign. The idea was a relatively late addition to Trump’s talking points. Indeed, candidate Trump had started out promising no cuts to Social Security, Medicare or Medicaid. Economist Douglas Holtz-Eakin, a longtime GOP adviser, says the Republican approach is “180 degrees different in its economic and budgetary philosophy,” from the course steered by Obama. The Medicaid limit would move the nation closer to putting public health care programs on a budget, fiscal discipline that conservatives say is long overdue. But the human consequences could be politically volatile. “No one wins on health care policy,” observed Holtz-Eakin. Groups representing doctors and hospitals are overwhelmingly opposed to the Republican approach, because it’s likely to result in millions more uninsured people. Consumer organizations like AARP are also opposed. Under Obama, the nation’s uninsured rate dropped below 9 percent, a historic low. Progress has stalled, partly because “Obamacare” is politically divisive. Now, the uninsured rate may start climbing again, because both the House and Senate bills cut federal financing and repeal an unpopular requirement to carry health insurance. It “would have a profoundly negative impact on Americans,” said John Meigs, president of the American Academy of Family Physicians. Some Republicans argue that a Medicaid card or an “Obamacare” policy means little because either the doctor doesn’t accept notoriously low Medicaid fees, or high deductibles under the health law keep patients from coming in. But doctors see a health insurance card as a ticket into the system, so patients can be screened for chronic conditions that can ultimately lead to serious illnesses. Obama’s law made many preventive services free of charge to the patient. Dr. Mott Blair of Wallace, N.C., recalls a patient who got a colonoscopy that found a polyp, which undetected could have led to colon cancer. Republicans would make no significant changes to employer-provided coverage, which remains the mainstay of private insurance. They focus instead on the market for individual policies, which Obama’s ACA sought to reform by providing subsidies, setting requirements for comprehensive coverage, and creating online markets where consumers could compare plans. An estimated 17 million to 20 million people have individual policies. About 10 million are in the ACA’s markets. “Obamacare’s” results have been mixed, with lower enrollment than expected, big losses for many insurers, and sharp premium increases. The situation varies from state to state, with healthy markets in some and others struggling to hang on to insurers. Consumers who are not entitled to subsidies can face shockingly high premiums. Both the House and Senate bills would keep subsidies for private insurance, although with considerably less money. The House and Senate formulas for subsidies differ. States would be able to seek waivers from federal insurance requirements. 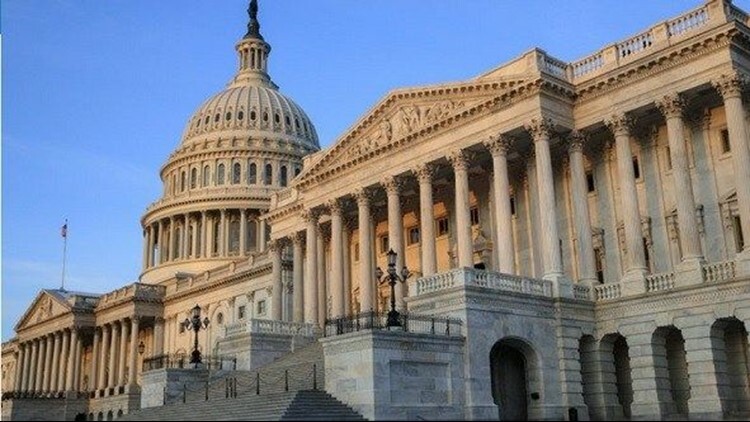 The Senate bill takes immediate steps to stabilize insurance markets for the next two years. Over the long run, premiums for younger people are expected to come down. But older adults and people who require comprehensive coverage are likely to pay more.